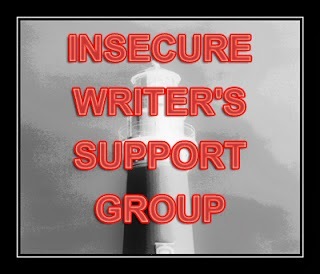 Visit other writers participating in IWSG at Alex Cavanaugh's blog. NaNoWriMo. This will be my fifth year participating, and I have yet to write 50,000 words in one month. This year, I debated whether I actually wanted to try again for months. Why bother trying to spew out all those words when they probably won't be any good and I most likely won't make my goal anyway? But when November 1st arrived, there was no question in my mind. I changed my Facebook cover photo to a NaNo participant graphic and instantly started planning what I would write this year. I have realized that it doesn't really matter if I achieve the goal of 50,000 words in 30 days. It doesn't matter if I complete a manuscript or not. It doesn't really even matter if what I write is good or bad. That's not the value of NaNo for me. For me, NaNoWriMo is all about getting into the habit of writing daily. Every November I begin a practice of writing every day. Somewhere around summer break, I lose the habit and I have a really hard time getting back into my groove. Then November rolls around, I join NaNo, and all of a sudden I am writing again. That is why I love NaNoWriMo. Are you participating in NaNo this year? What do you love or hate about the project?